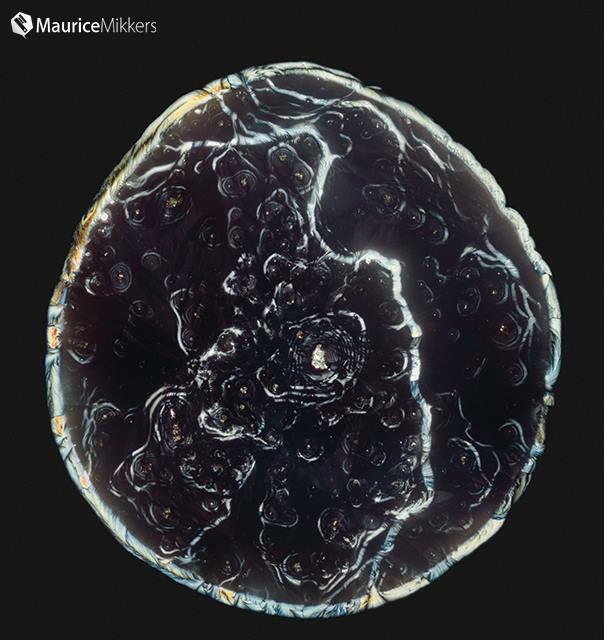 Maurice Mikkers has a passion for both science and photography. 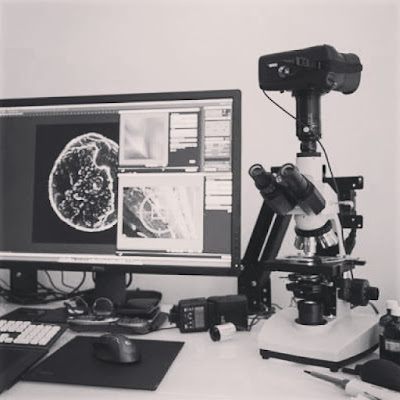 A few years ago when he was on strong pain medication, he got the idea to combine his passions and photograph pain killers under the microscope. He began with several over the counter pain medications. Diclofenac is a nonsteroidal anti-inflammatory drug (NSAID) that is taken to reduce inflammation and as an analgesic reducing pain in certain conditions. It is sold over the counter in most countries for minor aches and pains as well as fever associated with common infections. 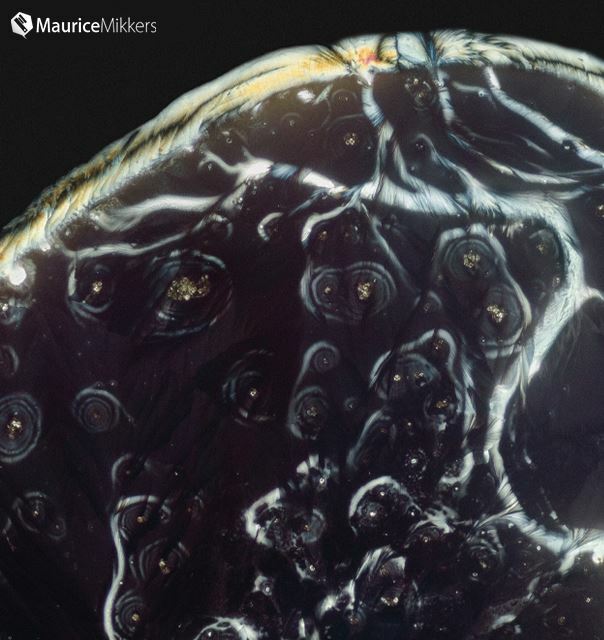 Mikkers photographed the Diclofenac crystals after preparing a slide and waiting 72 hours. He captured the images using a polarizing microscope and a Canon ESO 5D Mark III 22 megapixel camera. Acetaminophen is a widely used over the counter pain reliever and fever reducer. Acetaminophen is commonly used for the relief of headaches and other minor aches and pains and is a major ingredient in numerous cold and flu remedies. 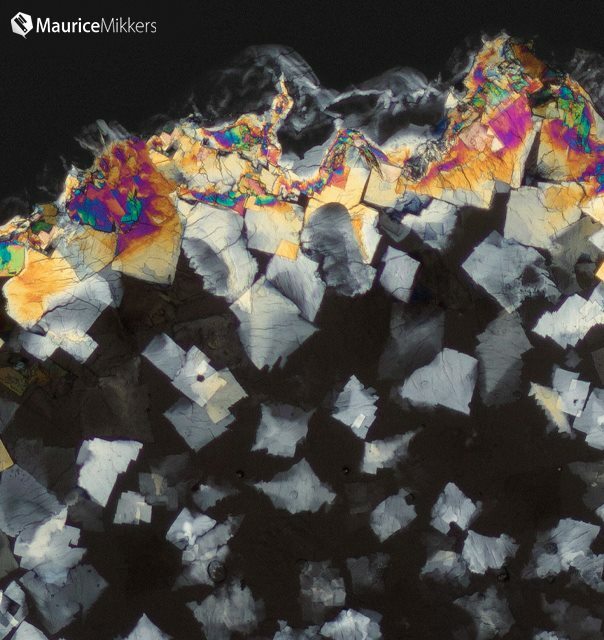 Mikkers photographed the Acetaminophen crystals after preparing a slide and waiting three hours. He captured the images using a polarizing microscope and a Canon ESO 5D Mark III 22 megapixel camera. Aspirin is used to relieve minor aches and pains, as an anti-inflammatory medication, and to reduce a fever. Aspirin also has an anti-platelet effect by inhibiting the production of thromboxane, which under normal circumstances binds platelet molecules together to create a patch over damaged walls of blood vessels. 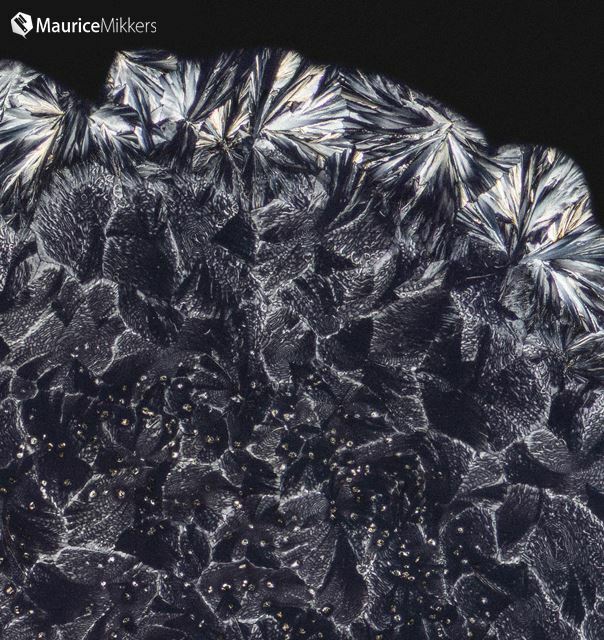 Mikkers photographed the Acetaminophen crystals after preparing a slide and waiting one hour. He captured the images using a polarizing microscope and a Canon ESO 5D Mark III 22 megapixel camera. Maurice Mikker's microscope / camera setup. 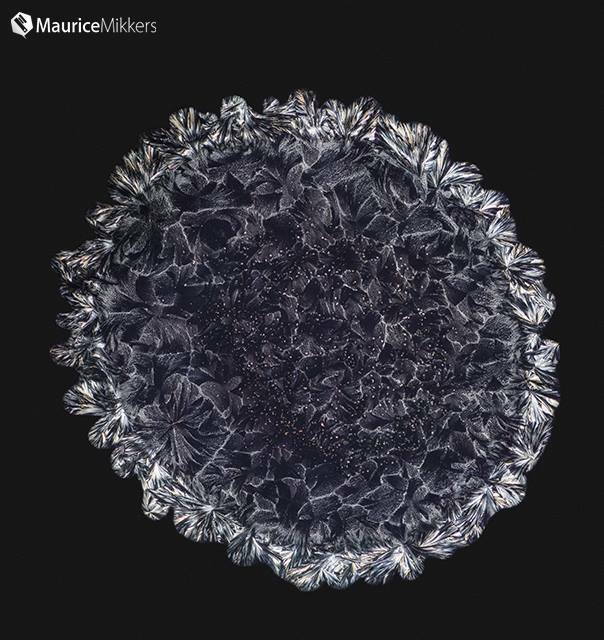 Thank you to Maurice for sharing his microcopy images with Microscope World. 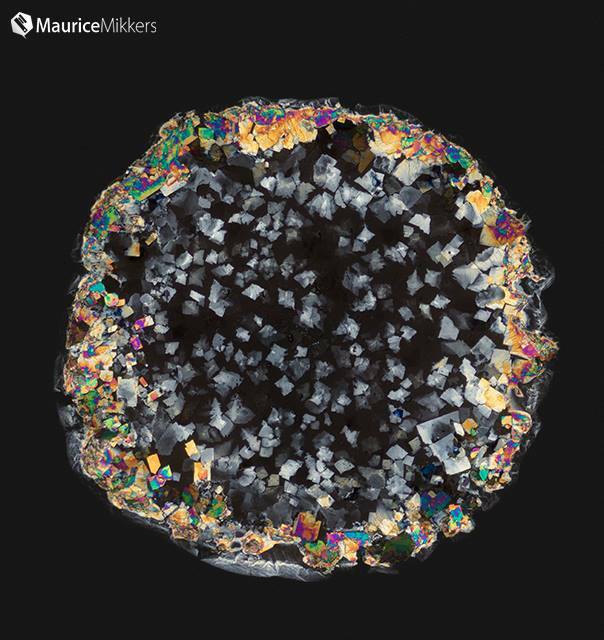 He has captured other images of drugs and medicine under the microscope and you can view these images by Maurice Mikkers here.